Home · Property Management · Latest News : Is the U.S. Becoming a Renter Nation? Is the U.S. Becoming a Renter Nation? If owning a home was once the American Dream, the recent housing crisis burst that bubble. Now, housing is seen more as shelter than an investment — this according to a report by the National Multi Housing Council. But as the dream of ownership evaporated, the change offered people the freedom to choose a place to live that fit their lifestyle — locations reflecting the heart, close to favorite haunts. 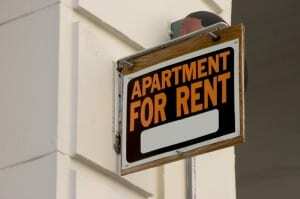 They realized that renting provides more flexibility to pursue career opportunities. Young and old alike found that the maintenance-free lifestyle of apartments provides simplicity. According to the report, suburban family homeowners will comprise less than a quarter of the population, while University of Utah Professor Arthur C. Nelson estimates that between 2008 and 2015, nearly two-thirds of new households formed will be renters–six million new renter households. And, there are reasons to believe that the new normal favors more long-term renters and more renters by choice — a much-welcomed ray of sunshine for landlords coming out of a period of high vacancies and rent concessions. To view the report, including an interactive version, visit 2010 NMHC Annual Report: Renter Nation.